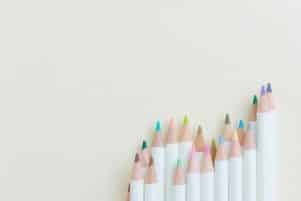 Whether its for personal note taking or you are looking for a colored pencil that won’t frustrate kids – an erasable colored pencil is an indispensable tool that can serve a variety of purposes. In today’s guide we are going to review all the best erasable colored pencils that exist in the market. These are pencils that not only can put down incredibly bright and vivid strokes on a piece of paper, but unlike some of the top-rated colored pencils we recently reviewed, these colored pencils will also be able to lift from the paper as well – like the Tombo Irojiten’s. 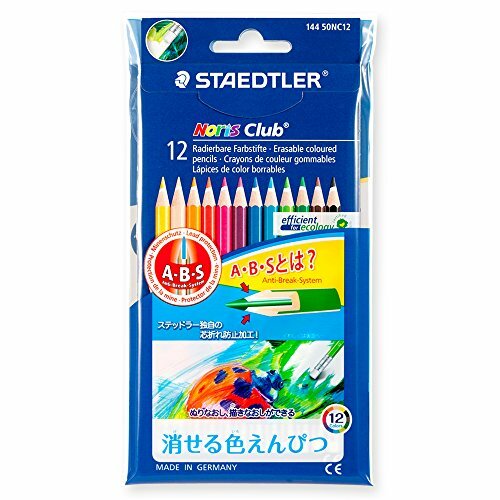 One of the finest erasable colored pencils on our list is from the Japanese based Tombow. 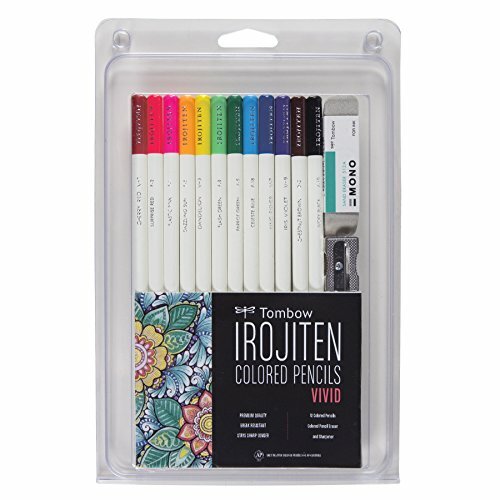 The Irojiten line of colored pencils are some of the brightest and most vivid colored pencils on the market today – hence why the set you see pictured is called vivid (their other set is called tranquil – which features lighter colors). Not only are their results striking, but in the erasable colored pencil world, they also have one of the largest varieties (only topped by Crayola). But unlike Crayola’s, which are best suited for elementary and beginner use, the Tombow’s for serious artists or those who simply want professional level results. Within this pack you not only get 24 distinct colors, but Tombow also provides a single chamber pencil sharpener along with a sand eraser. When reviewing other artist feedback on these pencils we kept seeing rave reviews with some stating that the Tombow’s “erased thoroughly without tearing the paper” to the colors being “smooth and vivid”. If there were any sticking points to these erasable colored pencils it would simply be the form factor. 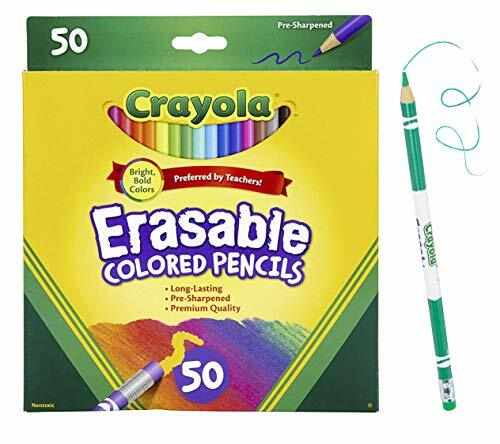 Unlike all the other erasable colored pencils on our list that have an eraser at the top of the pencil – the eraser isn’t attached, is a separate block. Perhaps not necessarily a ‘bad’ thing, just one worth noting – especially if you want to draw out in the field. Overall, these are by far the best erasable colored pencils you can buy. The colors pack a punch yet come off the paper effortlessly with the unique sand eraser. They know how to balance both performance and price – ultimately delivering a product that is loved by many. And their set of Col-Erase colored pencils carry that legacy forward. Competing head to head with the Tombow’s – this 12/24 pencil set is the perfect offering for those who are looking for a colored pencil for either journaling or note taking. With a medium to firm lead that is absent of wax (at least that’s what our research lead us to believe), it’s a colored pencil that feels very much like your standard graphite pencil as opposed to a traditional colored pencil. But one aspect that many artists and animators loved about this pencil was the ability for the eraser to remove any pigment off the surface. With every pencil having an eraser at the top, the form factor makes sense. If there was any gripes, we did see a few artists have trouble with heavy/thicker strokes – so be sure to practice some restraint. Overall, these are a perfect upgrade from the more elementary brands out there and should get some reliably colored lines. These also are an affordable offering given the performance. 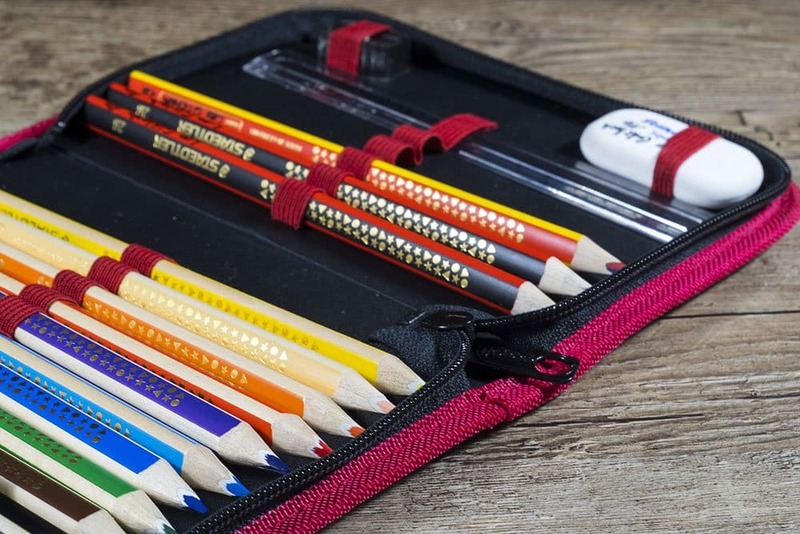 German-based Staedtler is a company that prides itself in its precision roots. While we recently loved their highly rated colored pencil sharpener (which comes included in this set), this 12 pack of their erasable colored pencils is equally highly rated. With a smooth stroke that comes from the firm lead, you can get precise lines when doing any sort of animation or illustration work. Another great selling point with these pencils is that they will resist cracking or chipping. Therefore, should the manual pencil sharpener not be your preferred way of getting a fine point, you can confidently use any of the other popular methods to sharpen your colored pencil including sanding, pocket knife, or even an electric colored pencil sharpener. With 12 colors included, this is a well-rounded set. 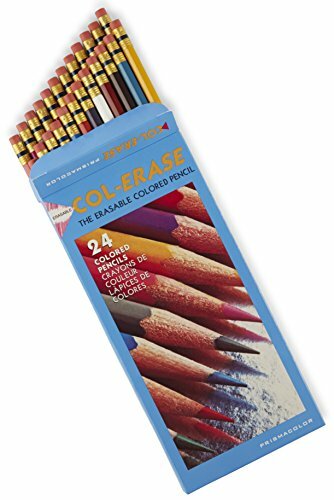 Overall, these erasable colored pencils are a terrific no-frills offering that is one of the cheapest on our list. The addition of the pencil sharper is a nice touch. 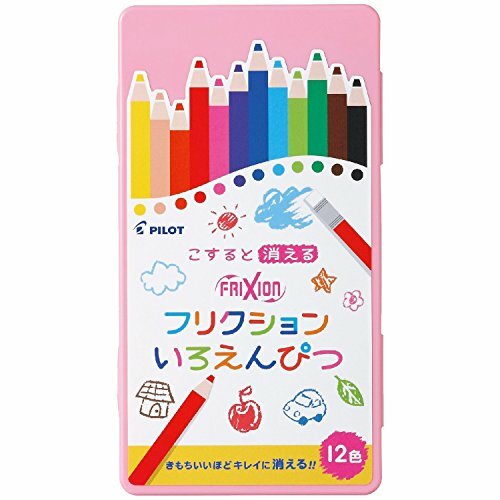 Making a perfect gift for kids (particularly little girls), this set of 12 erasable colored pencils by Pilot comes straight from Japan (same country where Pilot is headquartered). Each of the 12 colors will be bright and make strokes that are akin to a standard graphite pencil. Some artists and kids have mentioned that it does take just a little bit of force to really bring out the bold colors. However, with regular pressure, you should have no problem seeing the marks (especially if you are using these in a journal). Like the Prismacolors, these pencils also have an eraser on top – making them great for on-the-go coloring. But what makes this a perfect gift for girls is the included pink case! While nothing really special, the nice little addition will be great for those who want organization while at school. Overall, these are a great little set of erasable colored pencils. Likely not the best for artistic purposes, they do serve well for casual and kid use. Just about everyone has grown up with a set of Crayola crayons as a kid. Not only did their crayons perform well, but they were made to be completely safe, washable, and non-toxic – making them the preferred choice for mom’s everywhere. For those who want to expand a child’s creative imagination with other mediums yet still want the safety qualities of Crayola, then these erasable colored pencils make perfect sense. With a pack of 50, your child can draw whatever their imagination can be cooking up. But what makes these better than most colored pencils is that the eraser on the top will help to prevent any frustration should mistakes occur (a common problem kids have with markers and crayons). Overall, these are great for younger kids. Even if you want to highjack a few for your own personal use, their colors make them easy to standout in a page of crowded notes. There you have it, the best erasable colored pencils in 2019. 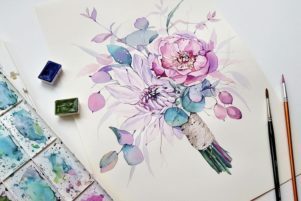 As you may infer from our list above or when you check out some of the more popular online stores like Blick Art Materials and Amazon – the selection of this type of colored pencil is limited. 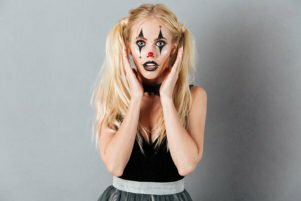 But, after reading other artist reviews, feedback, and messages on popular forums, we feel confident that we found some of the best performing ones for all applications – and we think you will love them too!